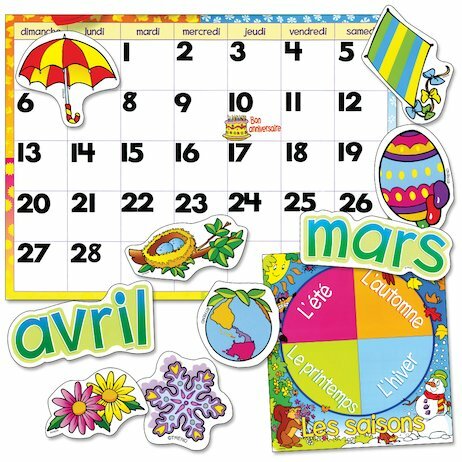 Introduce French in a creative way with a cheerful and reusable wall calendar. Mark off dates, special days, months and seasons with bright stick-on paper pieces. This fun language learning resource features a poster-size calendar plus an array of colourful press-out symbols, motifs and month names. These can be pinned to the calendar or used in vibrant class displays, while a spinner board lets children select an appropriate weather word in French each day, choosing a press-out picture to match.